Politics in Nigeria has become a game for those who are willing to risk it all no matter the price that is attached to it, be it conflict or divergence. This has gone a long way in making politics a caricature of what it is supposed to be. 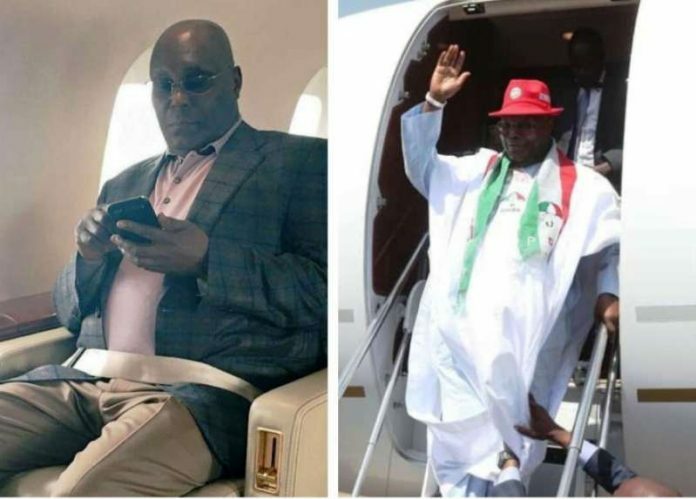 The presidential candidate of the People`s Democratic Party (PDP) Atiku Abubakar`s visitation to the United State despite the numerous propaganda and name calling especially in connection with corruption allegation by the ruling party All Progressive Congress(APC) still surprises them as the presidential elections draws near. The Waziri of Adamawa is reported to be in the U.S to meet with Nigerian’s in diaspora especially the Nigerian business community and other stakeholders. It should be recalled that in previous times the All Progressive Congress had accused Atiku of being involved in the Halliburton bribery scandal as his name was cited for partaking in the shady deal and using his wife as a front . The APC also dared the PDP presidential candidate to tell Nigerians the reason Halliburton left the country and the relationship he had with that. However, many believe that the ruling APC still do not believe Atiku`s successful visit to the U.S, irrespective of the fact that while they keep on painting him in a bad light as a corrupt leader, Atiku keeps giving them a run for their money and challenging them to show up to give evidences on how corrupt they accuse him to be. Questions have been arising from the APC camp as to how possible the U.S Embassy granted him a visa despite the cases of corruption filed against him and how successful his roundtable meeting went which will lead to his sudden return back to Nigeria today. SecretReporters gathered authoritatively that Atiku will be leaving the US tonight and will land tomorrow morning in Nigeria.